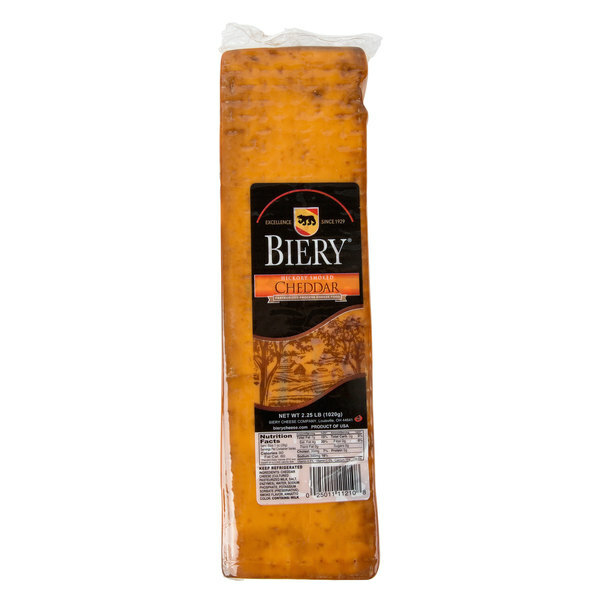 Enhance any cheese or charcuterie board by including the fresh, distinctive flavor of this Biery hickory smoked cheddar cheese. 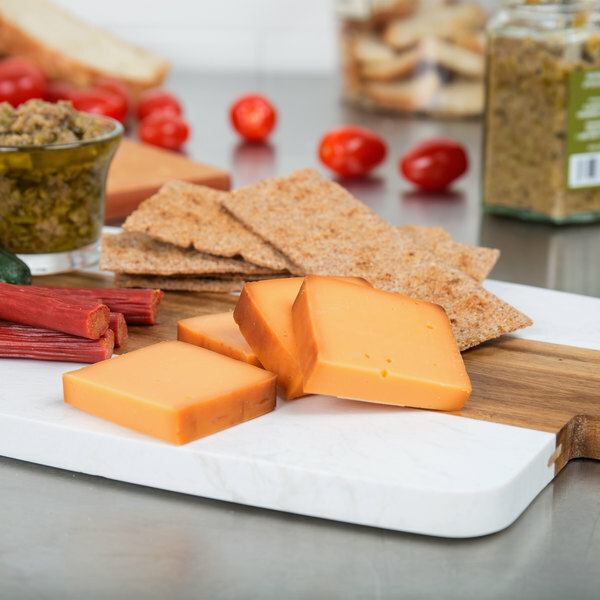 Featuring a bold, hickory smoked cheddar flavor with a deep and smoky orange color that is visually appealing, this cheese's fresh taste is sure to please your customers. This cheese will enhance flavors in a variety of deli and chicken sandwiches, and can be added to salads for a savory addition. Great for cheese or charcuterie boards, slice onto artisan crackers, or layer with thin slices of smoked salmon and pair with red wine blends. Extremely versatile in its application, its semi-hard consistency can be cut into cubes, grated, or sliced thin for sandwiches. It also has great meltability, allowing you to create a variety of unique culinary creations for your menu. Whether it's used as a topping, garnish, or a standalone snack, this sharp cheddar cheese is sure to be a crowd pleaser. Beginning in 1929 in Ohio by Norman F. Biery, Biery is a family-owned company, now in its fourth generation of leadership, dedicated to crafting delicious cheese your customers will love. Biery continues to grow by its focus on excellence and passion for its performance, people, products, and service. 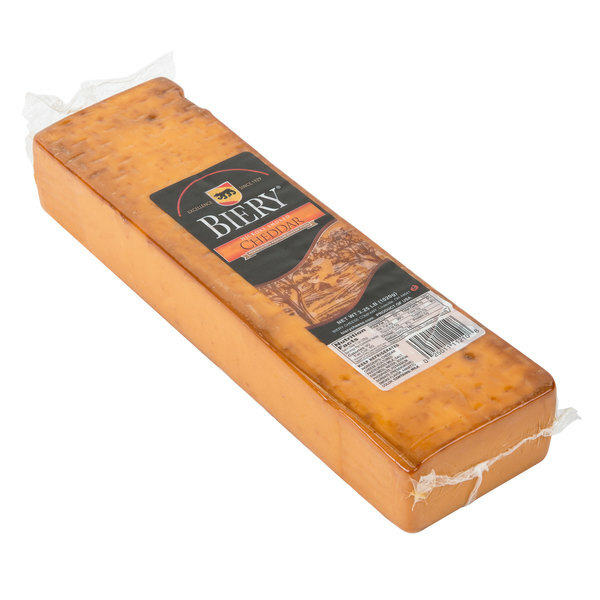 With its commitment to making quality products matching your commitment to serving great foods to your customers, Biery cheese always satisfies.